Development of the ear begins during the first few weeks of pregnancy. At this time the developing fetus looks like a FISH with gills. 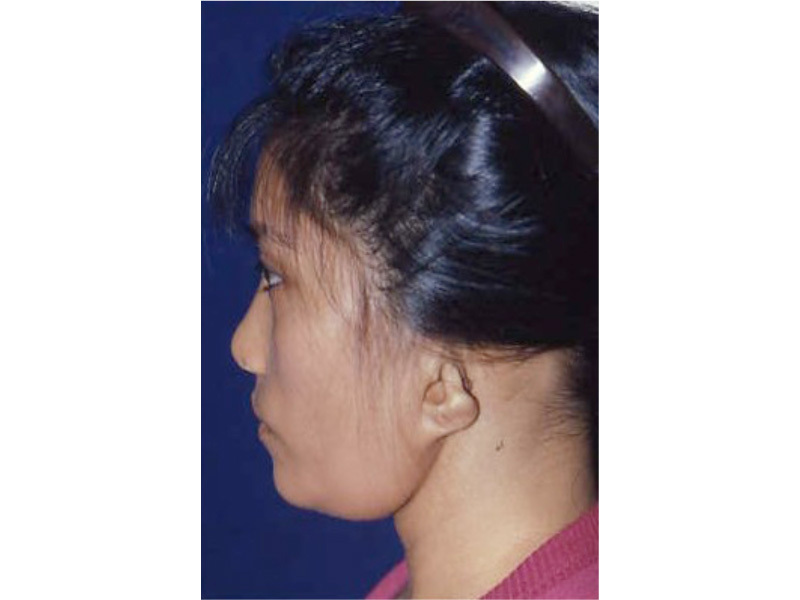 As the shape of the auricle forms, the developing ear moves (migrates) from under the chin to its proper position on the skull. 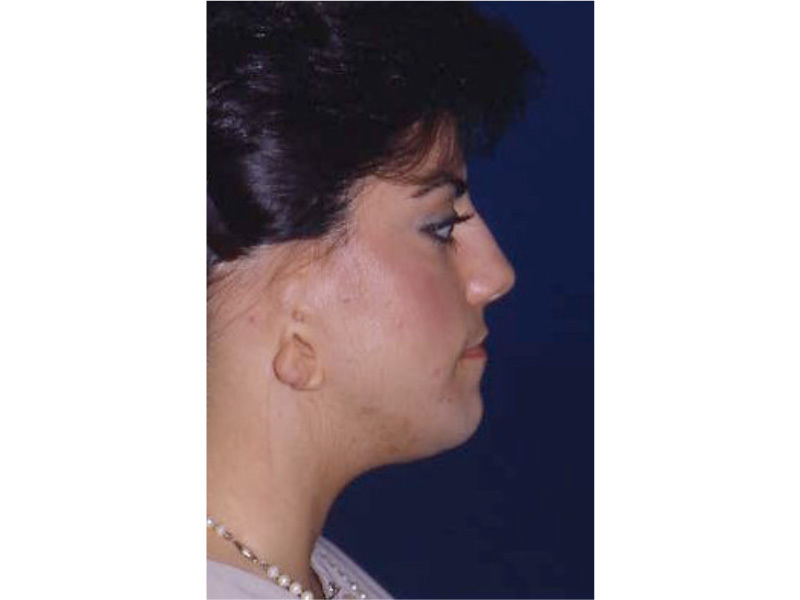 These two patients have auricles that failed to completely move from under the chin to the skull. This slide shows the proper position of the ear. The auricle should attain its adult size by age 8. The auricle should lie between the eyebrow and the bottom of the nose. It should not lie straight, but be parallel to the bride of the now. It should also lie approximately 6 cm (the average height of an adult ear) from the eye. As the ear is developing in the first few weeks of gestation its shape not only changes to that of a normal ear, but it moves from under the chin to it proper position on the skull. These two patient’s developing ears (auricles) failed to adequately move to their proper adult position. 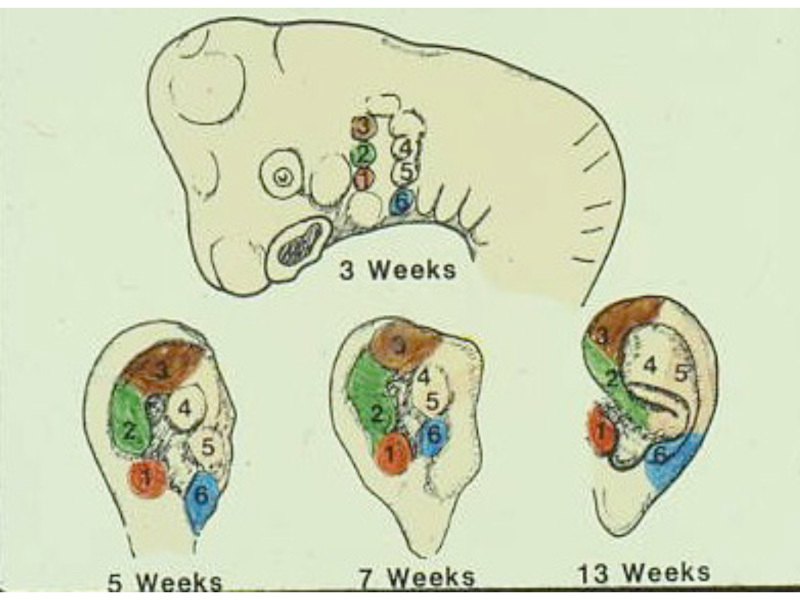 These diagrams picture the developing ear (auricle) from the first three weeks of pregnancy through the end of the third month of pregnancy. Initially the ear looks like “gills” on a fish. By the end of the third month of pregnancy, the ear has attained its adult shape.